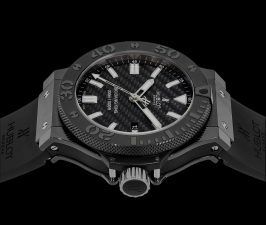 With World Cup 2018 season drawing closer by the second, the collective attention of football or soccer fanatics all over the world is currently focused on the game. While Germany took home the Champion’s Trophy back in 2014, this year, the competition seems to have become even stronger and better, promising the global audience a truly memorable phase of intense football gaming. 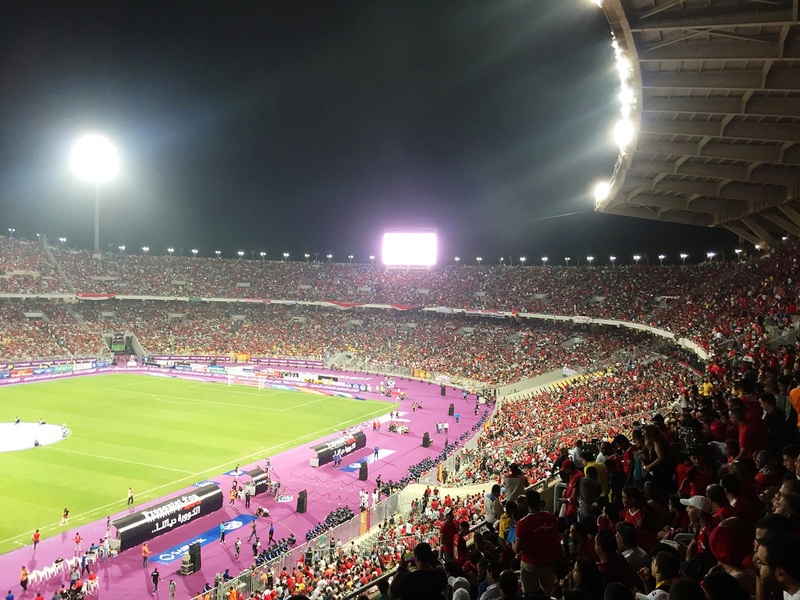 The Borg El Arab Stadium, 25 km from Alexandria, opened its doors to the public in 2007. With a capacity of seating 86,000 guests, the stadium is air-conditioned and has 8 elevators reserved for use by physically challenged individuals, broadcasting staff, and people belonging to VIP categories. 2 smaller stadiums also exist within the campus meant for training purposes, and can hold 2,000 guests each. There is also a running track around the pitch of the main stadium that is illuminated by four huge floodlights. The stadium premise also has a hotel that can accommodate up to 200 guests at one go and has a swimming pool, well-equipped gymnasium and a department building. 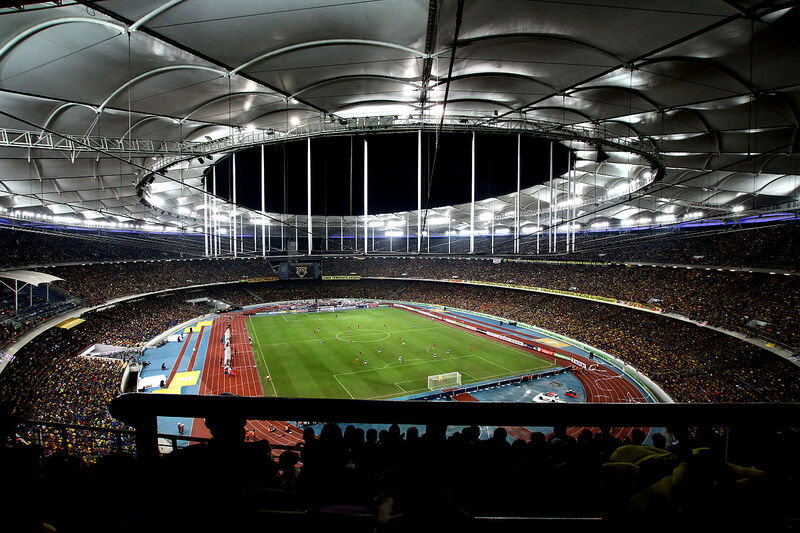 With an impressive capacity of 87,411 all-seater arrangements, the Bukit Jalil National Stadium, situated in the National Sports Complex, was originally commissioned to be built to accommodate the 1998 Commonwealth Games. 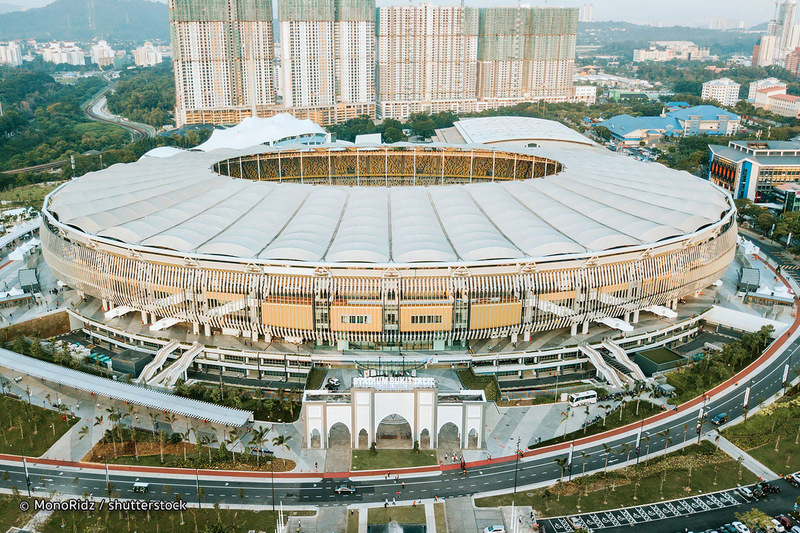 Although a multipurpose stadium, it has maintained a lengthy association with famous football matches like the AFC Asian Cup and the Malaysian FA Cup. The roof of the stadium was modelled after a membrane structure and reinforced concrete had been used to build majority of the stadium. It recently underwent a massive renovation right on time for the 2017 ASEAN Para Games. The sporting facilities include a pitch of grass measuring 105 m X 68 m, a 400 m track with 9 panels, a separate 6 m X 60 m track for the athletes to warm up, and 1,500 flux floodlights. 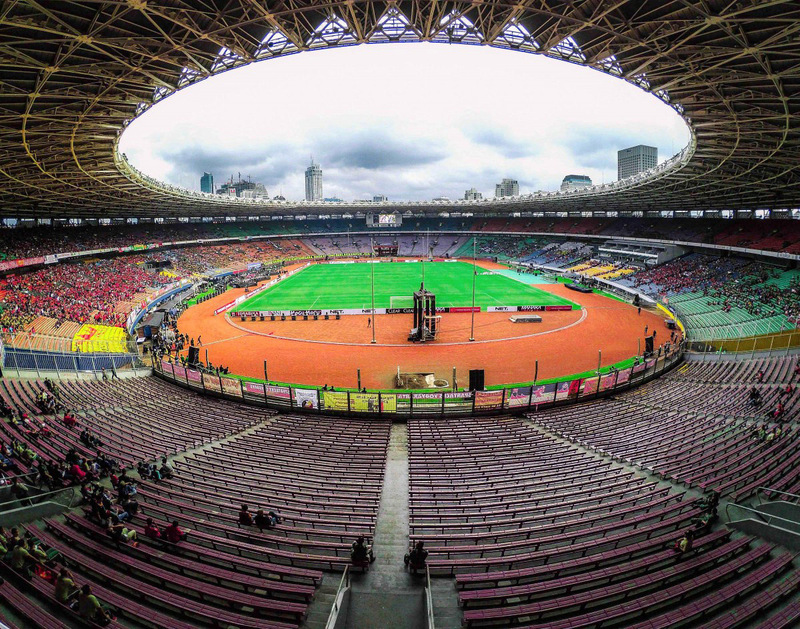 Built all the way back in 1962 with a little help from the Soviets, this 88,083 strong football stadium in the capital city of Indonesia, has been named in honor of the country’s first President, Sukarno. Although initially, it had the capacity to host a whopping 110,000 spectators, two elaborate renovations severely affected its capacity. 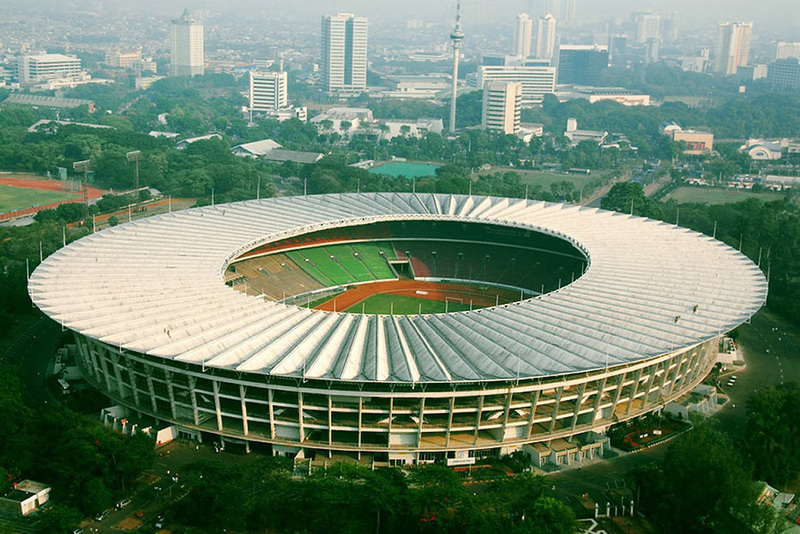 Its architectural brilliance lies in a certain aspect of the stadium’s steel roof, called “temu”, which made a circular ring around it. The stadium has played host to a number of international football tournaments already, and is ready to host the 2018 AFC U-19 Championship. 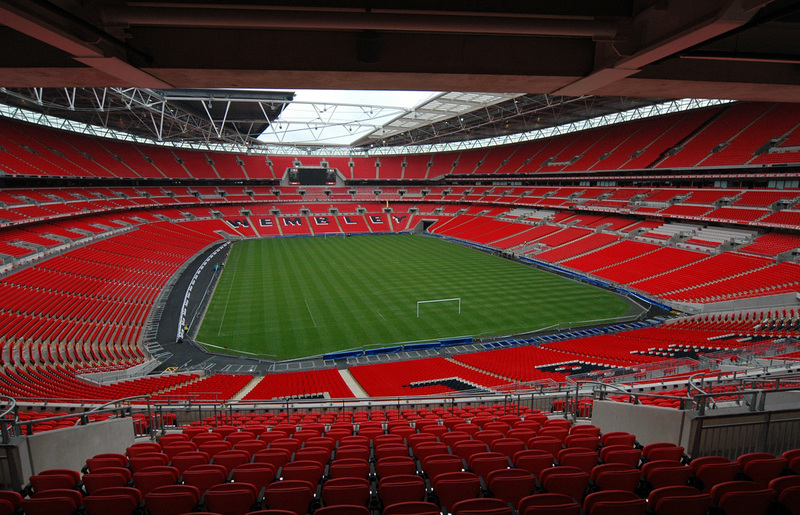 Wembley Stadium has been the temple of English football. 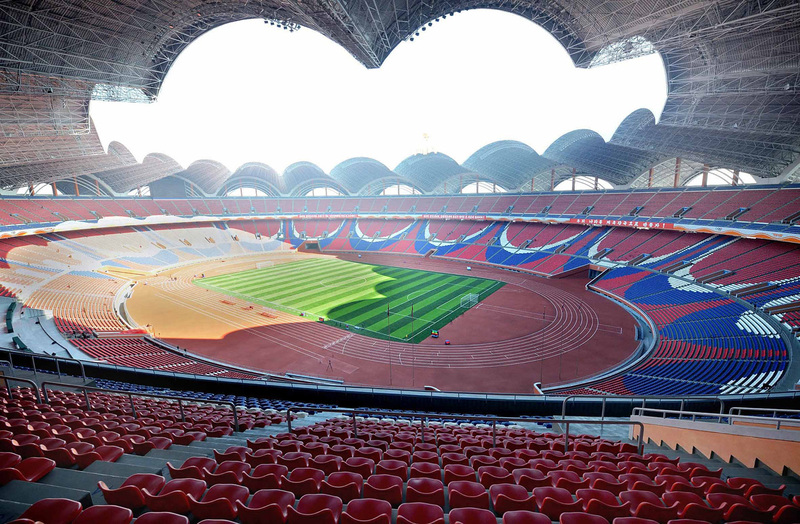 This internationally renowned multipurpose stadium has a capacity to host 90,000 spectators. It opened its doors in 2007, after the original Wembley Stadium remained demolished between 2002 and 2003, and is owned by the country’s governing football body, the Football Association. 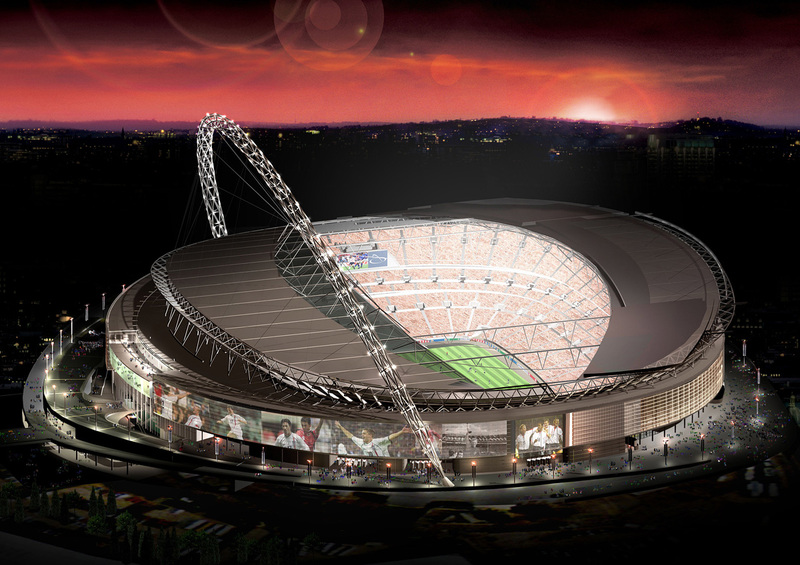 The Wembley Arch, a 134m high arch that crowns the stadium, can be seen decorating the West London skyline. It also bears almost 3 quarters of the total load of the roof of the stadium. It continues to host some of the most famous football tournaments in the world, such as the FA Cup, UEFA Champions League, and most notably, also hosted the 2012 Olympic Games football tournament. 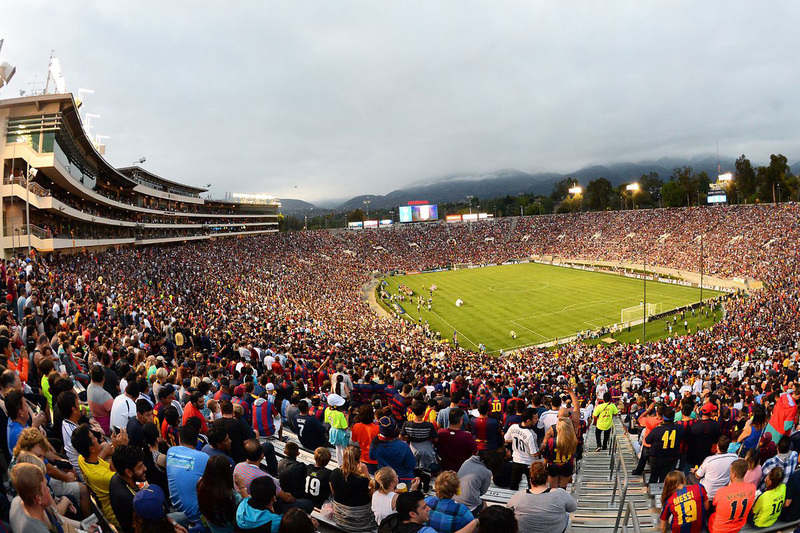 Although the United States hasn’t really taken to soccer as much as the rest of the world, The Rose Bowl, with a capacity of 92,542 spectators, has already hosted the 1994 World Cup Final and a number of other football matches. Opened all the way back in 1922, the stadium is frequently used for varsity games and sporting events of the kind. 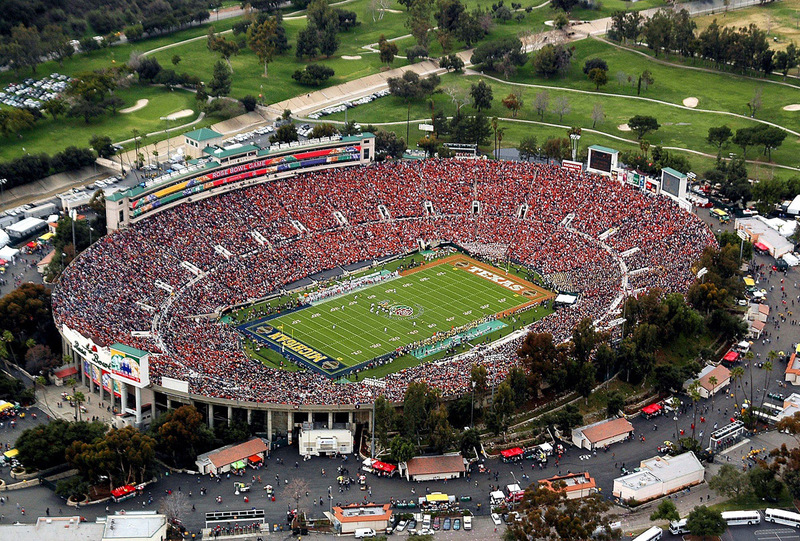 The Rose Bowl has a mostly north-south alignment. The elevation from the street level is roughly 830 feet. The seating arrangement of the stadium has undergone a number of changes since its conception. 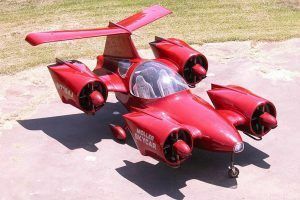 As recently as 2016, the Rose Bowl authorities have contracted services to finally put its traffic streamlining issues to rest. 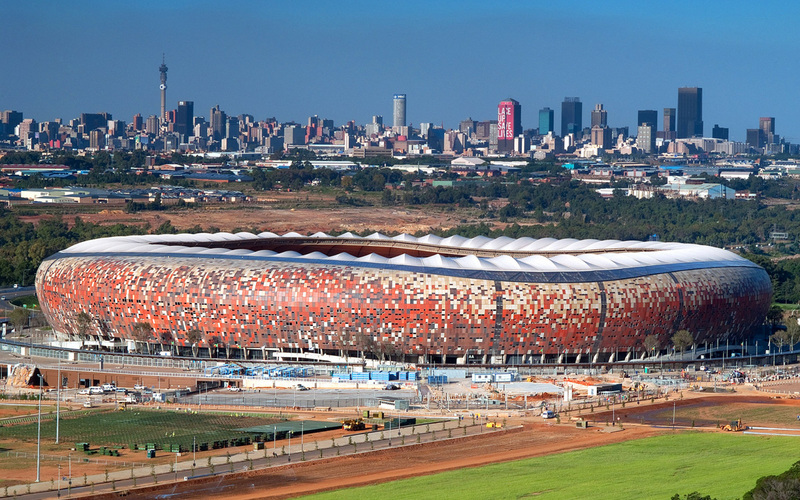 The First National Bank Stadium, more commonly known as Soccer City, came into the spotlight in 2010 after it hosted the World Cup. 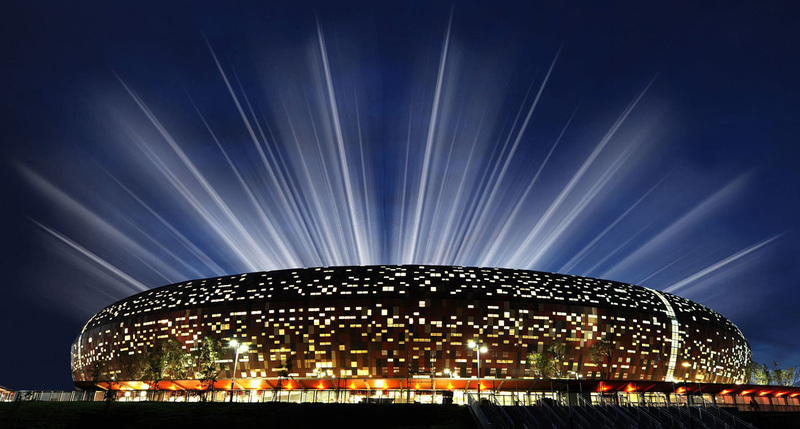 It has the capacity to host a whopping 94,736 spectators. Its nickname, “The Calabash” was obtained from the fact that it roughly resembles the African-origin fruit of the same name. 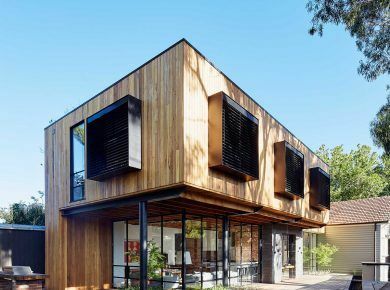 Indeed, much of its design has been thought of keeping in mind traditional African patterns. Care has been taken to ensure that the lines of sight of the spectators are completely unobstructed, and as a result, the audience gets to sit within 100 meters of the playing field. Before the renovations for the World Cup, it had a capacity for 80,000 people. 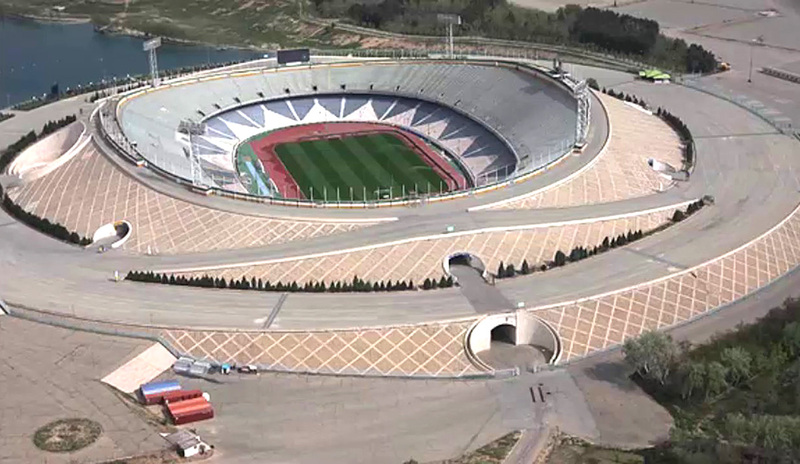 With a capacity of accommodating 95,225 people, the Azadi, formerly Aryamehr, Stadium was opened to the public in 1973. It is situated within the Azadi Sport Complex, which also has swimming facilities, football fields, provisions for rowing, and other such facilities within its premises. A series of renovations since 2002 has significantly reduced the seating capacity of the stadium. 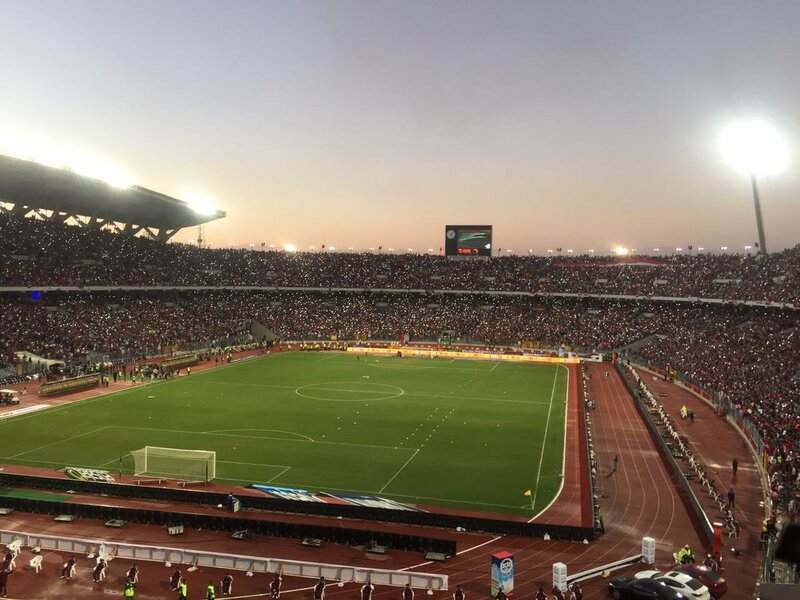 However, it has often been noticed that the stadium is occupied beyond its capacity during significant matches. While the Azadi Stadium has received a bad rep due to the country’s ban on women in and as spectators in sports as well as its political unrests, the stadium continues to hold an important position in international football. 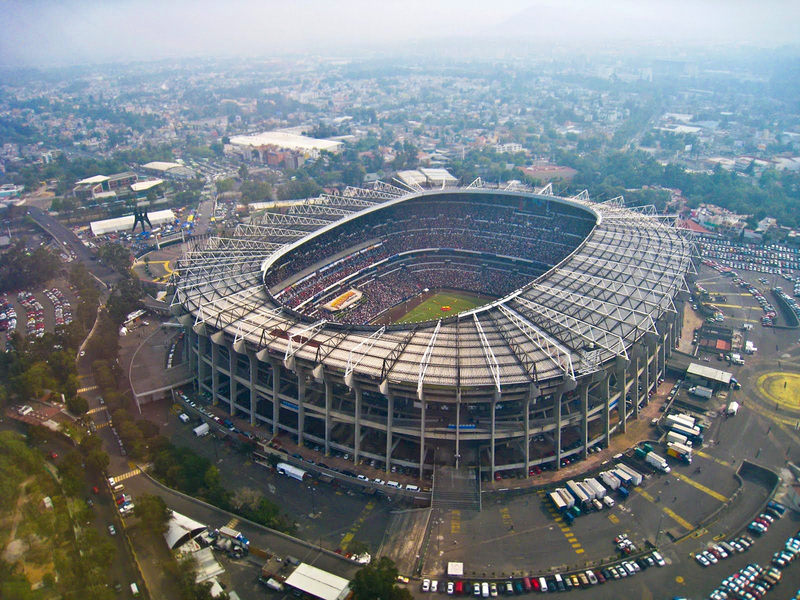 Every football fan is familiar with Maradona’s “Hand of God” miracle, and it took place right here in Estadio Azteca. 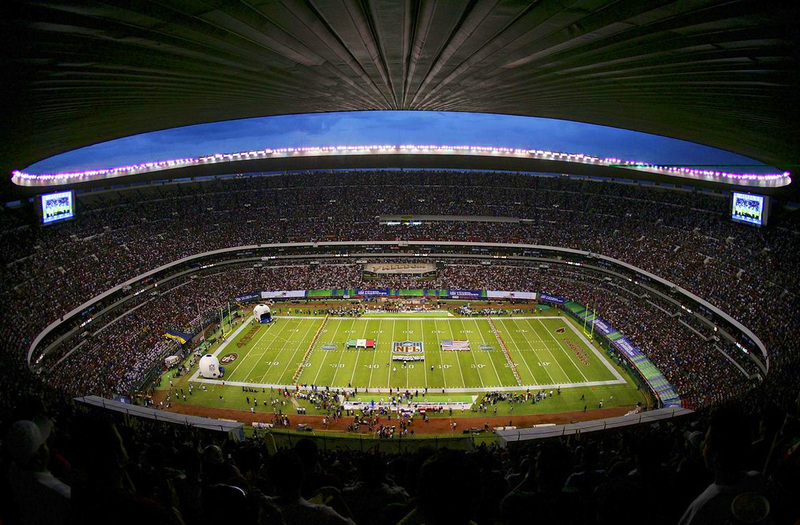 It can accommodate 95,500 people and is the national stadium of Mexico. It was christened as such in remembrance of the country’s cultural connection with the Aztecs. 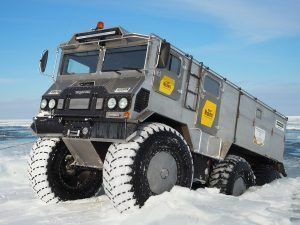 It is located 7,200 feet above sea level and was opened in 1966. 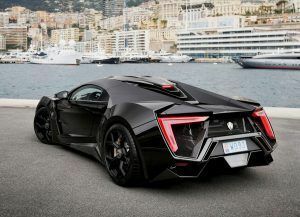 It has, since, witnessed a number of significant matches in football history, such as the 1968 Summer Olympic football matches, the 1970 World Cup Finals, and the 1986 World Cup Finals. Apart from its association with football, the stadium has also been the venue for a number of political and religious events and ceremonies too. 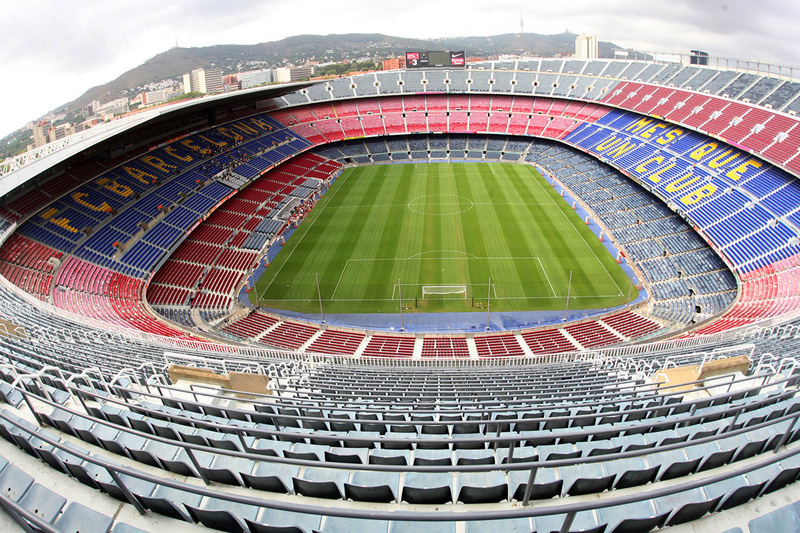 The Estadi del FC Barcelona was renamed to Camp Nou in 2000. 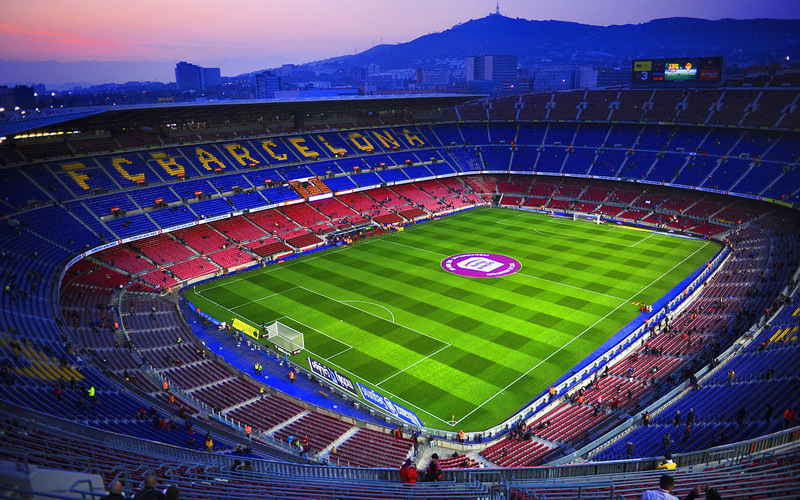 The second largest football stadium in the world is, very fittingly, home to the second richest football club in the world, FC Barcelona. 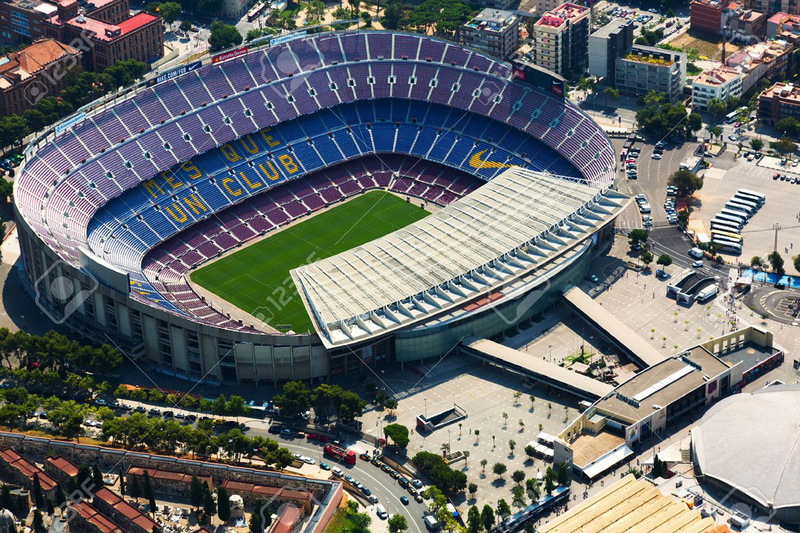 Accommodating a staggering 99,354 spectators, the stadium has been the venue for a number of historic football tournaments, like the 1989 as well as 1999 EU Cup finals, UEFA Cup finals, and Copa del Rey finals, among others. Its doors were opened to the public in 1957 and was built jointly by Francesc Mitjans and Josep Soteras, in consultation with Lorenzo García-Barbón. 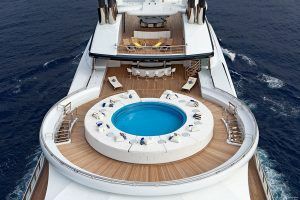 It has undergone a number of renovations that have greatly altered its seating capacity since its initial construction. 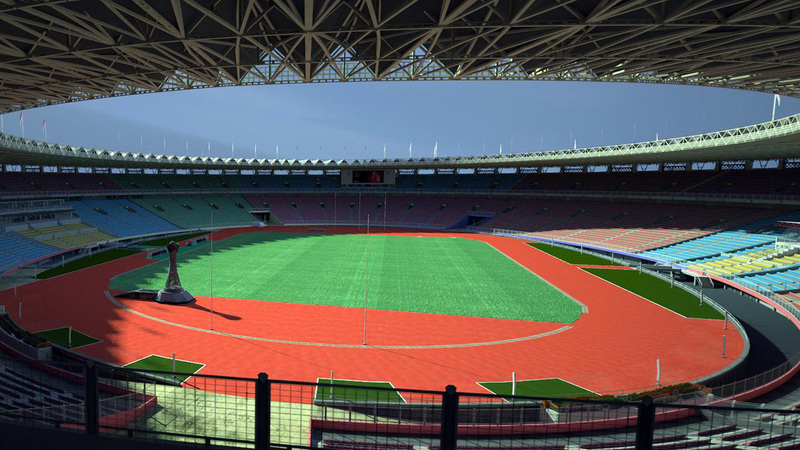 Although North Korea has largely been snubbed by the international sports community due to its political conflicts and governance, the country is home to the largest football stadium internationally. 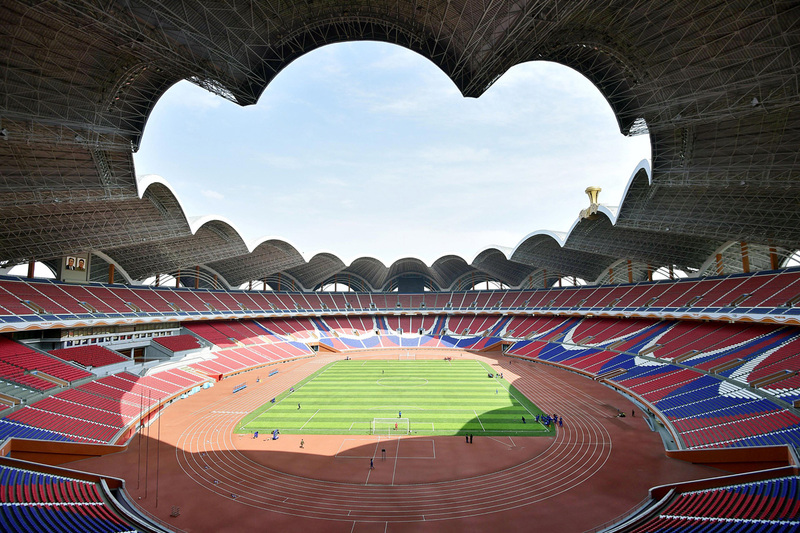 The Rungrado May Day Stadium, with a spectator capacity of 150,000, has been designed beautifully with a scallop-shaped roof, which looks like a magnolia flower. 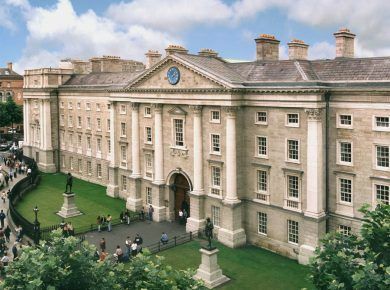 The roof has 16 arches, arranged in a manner so as to form a ring. The stadium pitch covers an expanse of 22,500 sq. m. It has eight floors and the roof is situated at a height of 60 m. The stadium has also been the venue for a number of diplomatic meets and other events. The host country for the 2018 FIFA World Cup is Russia. The official site, in collaboration with Russian sporting and other appropriate governmental agencies, has already made it quite easy for interested football fans to reserve their tickets for the game, as well as other provisions, like accommodation, travel, and the like. The ultimate tournament will be held between 32 competing men’s football teams from different countries. Two countries, Iceland and Panama, are also set to make their international football debuts in this year’s tournament. The duration of these matches will be from the 14th of June to the 15th of July. So, there you have it! The 10 largest football stadiums in the world that have witnessed some of the most significant matches in football history. While their rank on the list seems to change with each renovation these stadiums undergo, their contribution to the sport will always remain equally significant. 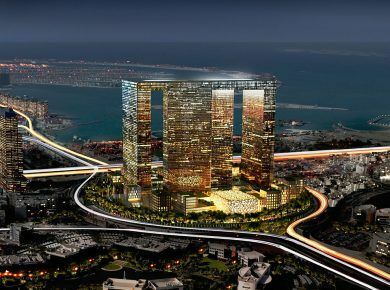 And you can always check Top 20 World’s Tallest Buildings.